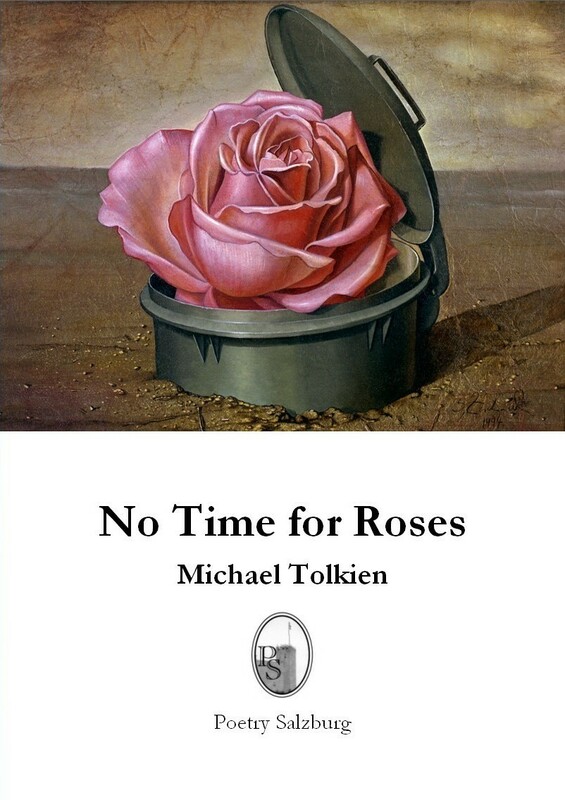 The first three parts of No Time for Roses explore various kinds of illusion in our formative experience and in our emotional, artistic and spiritual lives. The final part celebrates the power of love and mature perspectives over negative influences such as the loss of circumstances, objects and people we are attached to. "[...] his poetry is fluent, crafted, easy on the eye and mind [...] it has a wide range of subjects and is anchored in a believable reality presented in detail which is allowed to speak for itself [...] his stance avoids sentimentality with a detachment which is not indifference [...]"
"When moving away from the personal [...] his poems combine immediacy of description with dense but unobtrusive abstract thought [...] some of his nature poems leave the reader almost breathless with a sense of the transcendent [...]"
then find them in a suburb of new plots. to those who learned to love against the odds. feel like last greetings cards. a prayer, and scuttles off like a leaf. without the windbreak they provided. seem the bravest anyone's endured. Meet the distant stare of mullioned windows. so tightly wrapped jumps into her car. tell me what it's like to survive. spot in seething foreign squares. matching swirl of fireside cat. "[...] 'John's Exclusives', a section as I see it central to the book, three poems each prefaced with a text from the Gospel of St John. This Christian theme seems to run throughout the book, as in 'Words and Paint' [...]. There is much else in Tolkien's poetry for me to admire more easily. in 'Proportions' he looks at other histories - scultpures of the Ancien Regime - and he has difficluty finding interest in and sympathy for them: they merge into an '... echo / from far down some / long-forgotten corridor'. He has a broad range of subjects from 'Yardley Road Public Library 1950', his start in reading, 'Butcher's Ghazal' [...], 'Grounded', 'Spree'. He has an adroit ear for descriptions of place. [...] Much for me to ponder, enjoy and remember from the collection." Martin Bax, Ambit 199 (2010), 84-85.